In the period that Kurdish and Welsh languages were banned both languages were identified as primitive and backward. Speaking the dominant languages of Turkish and English were presented and forced as the path to being modern. 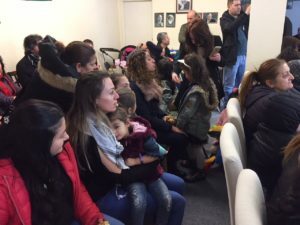 Wales PEN Cymru is now engaging with the Kurdish Community in Wales to raise awareness of their linguistic struggle and highlight the similarities of the political histories of both languages. WPC aims to promote the Kurdish language in Wales and promote a sense of pride especially with Kurdish children so they can appreciate their language. WPC has been engaging Kurdish and Welsh communities in a Kurdish /Welsh Linguistic Translation Project for the past two years. Kurdish and Welsh translators –albeit currently through the use of the medium of English and Turkish languages as bridge languages – produced translations of traditional literary pieces. Kurdish translators Salih Qosheri and Civanmerd Kulek visited Wales and worked with Caroline Stockford to translate two chapters of the Mabinogion into Kurmanji. how women can be more involved in the project.